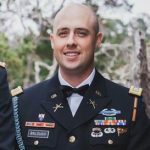 Tom Balough was born in Melbourne, Australia and graduated from the United States Military Academy in 2012 with a degree in Economics with Honors. Tom served as a Rifle Platoon Leader and Executive Officer in the 10th Mountain Division with a deployment to Afghanistan in support of Operation Enduring Freedom XIV. He later served in the 3rd United States Infantry Regiment (The Old Guard) in Washington, D.C. Tom is pursuing an MBA as a member of the Class of 2019 at The Wharton School, University of Pennsylvania.